Since last week’s launch, the buzz surrounding Rebecca Minkoff’s new smart bags has been pretty phenomenal. Not just the coverage across the media (articles in Forbes, Women’s Wear Daily and a host of other publications) but the interest spurred among other apparel brands who are now also recognizing the massive potential of connected smart apparel and accessories – made possible thanks to our #BornDigtal partnership with Avery Dennison. What makes this significant for the industry is the scale. It’s way beyond the limited prototypes unveiled in market over the last couple of years. This is mainstream stuff, with hundreds of thousands handbags given a unique digital identity at point of manufacture, and then sent out into the big wide digital world. These days it takes more than just great products to stand out. 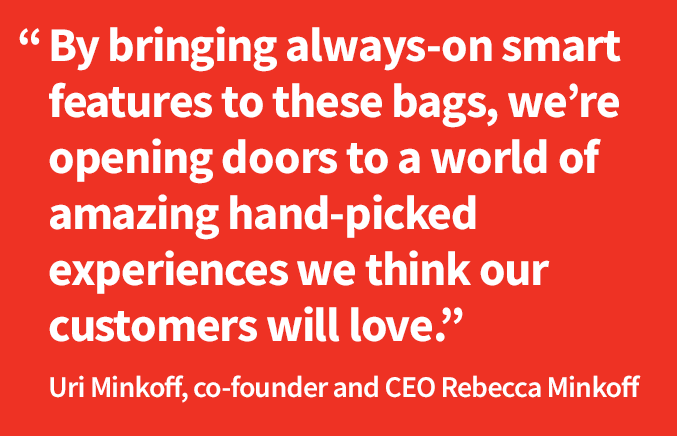 So Rebecca Minkoff – an industry leader in luxury handbags and accessories – wanted to add a new digital layer to their latest range and transform the way consumers engage with the brand. The value exchange is clear: Consumers get personalized experiences after scanning their bag, and the brand acquire new, direct customer relationships. This also opens up the ability for Rebecca Minkoff to create a closer emotional connection with consumers too, as highlighted in a new academic report we released last week on “Digital Emotional Intelligence” (DEQ). Led by Dr. Philip Powell from the University of Sheffield, the research found that real-time digital interactions with smart products are crucial in unlocking the power of personalization. Put simply, it means brands can get to know consumers better, amplifying and responding to their emotions. In turn consumers feel more connected to the brand and feel a greater affinity. 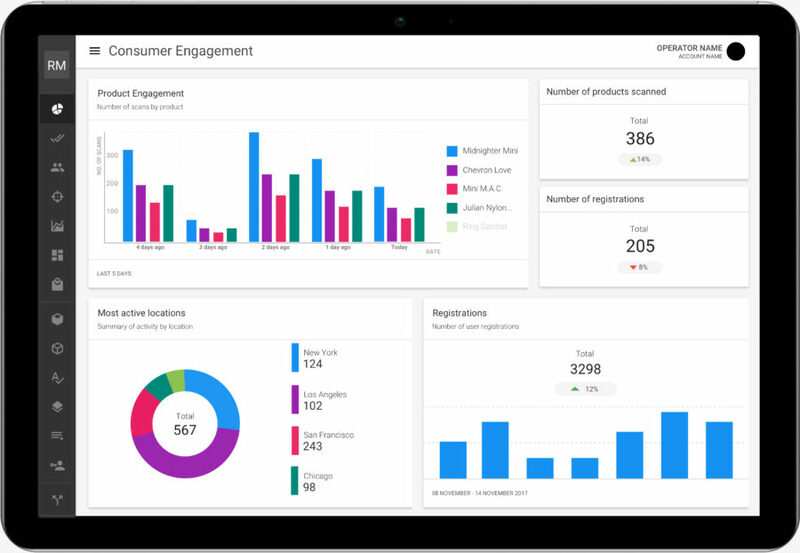 Thousands of consumers interacting with products via their smartphones is a super-effective and low-cost way to acquire new customer data for CRM initiatives. It also generates a wealth of new insights into consumer patterns and behaviors, informing future production and marketing campaigns. With visibility across all retail channels, and even after the consumer leaves the store, Rebecca Minkoff can blend the physical and digital worlds in a way their competitors can’t. And there’s plenty more to come. Next year, the brand will be leveraging geo-targeting in the platform to incorporate additional partners within the lifestyle, wellness and beauty realms. Making smart bags even smarter!